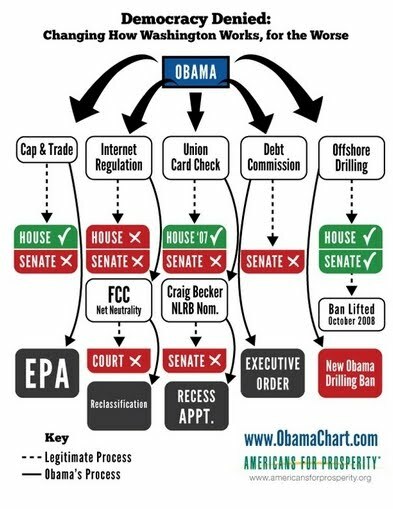 "Obama uses his control over Executive Branch agencies to do what Congress or the courts have forbidden." That's from Stan Holland at the Reuters News Service. Was he trying to be ironic? Was he mocking President Obama? Or did he just not consider what that says? "They sent a message to the rest of the city that these particular labor issues are more important," said City Councilman Dan Halloran (R-Queens), who was visited yesterday by a group of guilt-ridden sanitation workers who confessed the shameless plot. Seeing as these are sanitation workers who replaced the last batch who went on strike, you'd think they would know better than to enrage a public more opposed to public unions than at any time in the last 100 years. In the front line are telecommunications satellites in geostationary orbit, at an altitude of 36,000 kilometres (22,500 miles) and Global Positioning System (GPS) satellites, on which modern airliners and ships depend for navigation, which orbit at 20,000 kms (12,000 miles). Another precaution is redundancy -- to have backup systems in case one malfunctions. On Earth, power lines, data connections and even oil and gas pipelines are potentially vulnerable. An early warning of the risk came in 1859, when the biggest CME ever observed unleashed red, purple and green auroras even in tropical latitudes. The new-fangled technology of the telegraph went crazy. Geomagnetically-induced currents in the wires shocked telegraph operators and even set the telegraph paper on fire. In 1989, a far smaller flare knocked out power from Canada's Hydro Quebec generator, inflicting a nine-hour blackout for six million people. Recurrence of a 1921 event today would fry 350 major transformers, leaving more than 130 million people without power, it heard. A bigger storm could cost between a trillion and two trillion dollars in the first year, and full recovery could take between four and 10 years. Then again, maybe it won't happen for decades, and be very mild. Nobody really knows. Put this in the abuse of power folder: a woman who protested TSA groping "security" by showing up in lingerie has been banned from flying, according to Oklahoma's channel six news. The YouTube video of her protest was a big hit on the internet, but the security officials claim it is because of nitrates detected on her. The video, posted Nov. 30, has since been pulled from YouTube, and Liu has been stripped of his role in a federal anti-terrorism program that allowed him to carry a handgun while flying. TSA officials arrived at Liu's Colfax house earlier this month and confiscated his weapon. Placer County sheriff's deputies, who accompanied the TSA, suspended his permit to carry a concealed weapon. TSA authorities have defended the action, saying that pilots who participate in the program "must be able to maintain sensitive security information." Lesson learned: if you anger this administration, it will use its federal powers to make you pay. It must be nice to be able to just write a report granting yourself greater federal power without even needing to bother with legislation. Nice and unconstitutional. The courts have already shot down several of these attempts, but when that happens, the Obama team tries it again, with slightly different wording. 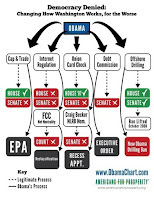 When it comes down to a choice between being constitutional and carrying out the agenda of pointy headed leftist academics, Obama knows where he's going, full speed. Hey, they believe what they're doing is so right and so important that they have to ignore that old and confusing separation of powers bit. The Ford Motor Company was praised by a lot of people (including me) for not taking auto bailouts this time around, and having turned their company around on their own. At least Ford wasn't taken over by the Obama administration like GM and Chrysler. Except, according to Jalopnik, Ford did get federal money, under the table. In the depths of the financial collapse, the U.S. Federal Reserve pumped $3.3 trillion into keeping credit moving through the economy. It eventually lent $57.9 billion to the auto industry — including $26.8 billion to Ford, Toyota and BMW. The Fed on Wednesday was forced to reveal the identity of the companies it aided during the crisis, after contending to Congress that keeping their identities and the details of such lending secret was essential. Much of Wall Street, and corporate giants such as General Electric, Harley Davidson and McDonald's, took advantage of the Fed's help. We've done the math on how the Fed propped up the auto industry. According to the data, from October 2008 through June 2009 the fed bought $45.1 billion in commercial paper from the credit arms of four automakers - Ford, BMW, Chrysler and Toyota - along with GMAC (the former General Motors credit arm). Of those, Ford sold the most, with $15.9 billion. Ford has benefited from the perception they were pure of this sort of bailout. They aren't. The main obstacles to a GAO opinion were: (1) serious financial management problems at the Department of Defense that made its financial statements unauditable, (2) the federal government’s inability to adequately account for and reconcile intragovernmental activity and balances between federal agencies, and (3) the federal government’s ineffective process for preparing the consolidated financial statements. In addition, the GAO said last week it was unable to render an opinion on the 2010 Statement of Social Insurance because of significant uncertainties, primarily related to the achievement of projected reductions in Medicare cost growth. The consolidated financial statements discuss these uncertainties, which relate to reductions in physician payment rates and to productivity improvements, and provide an illustrative alternative projection to illustrate the uncertainties. Dodaro also cited material weaknesses involving an estimated $125.4 billion in improper payments, information security across government, and tax collection activities. He noted that three major agencies — the DOD, the Department of Homeland Security, and the Department of Labor — did not get clean opinions. Nineteen of 24 major agencies did get clean opinions on all their statements. Most transparent... well you know the rest. Lettermarking, which takes place outside the Congressional appropriations process, is one of the many ways that legislators who support a ban on earmarks try to direct money back home. As for future novels, Konrath plans to self-publish all of them in digital form without having to leave his house in Schaumburg, Ill.
Its hard to argue with the numbers. Even if he only sells a quarter as many books as a publisher can get out there, he's still making about as much money as a well-paid author. Publishing houses have got to look at this and reconsider their business platform and how they treat the talent. The only drawback to this system: you can't simply write and publish a book online, if nobody knows its there or has heard of you. I've had a book in publication over a year and sold about 3 dozen total copies. THE WEEKLY STANDARD has reviewed translations of 34 messages and interviews delivered by top al Qaeda leaders operating in Pakistan and Afghanistan (“Al Qaeda Central”), including Osama bin Laden and Ayman al Zawahiri, since January 2009. The translations were published online by the NEFA Foundation. Guantanamo is mentioned in only 3 of the 34 messages. The other 31 messages contain no reference to Guantanamo. And even in the three messages in which al Qaeda mentions the detention facility it is not a prominent theme. Instead, al Qaeda’s leaders repeatedly focus on a narrative that has dominated their propaganda for the better part of two decades. According to bin Laden, Zawahiri, and other al Qaeda chieftains, there is a Zionist-Crusader conspiracy against Muslims. Relying on this deeply paranoid and conspiratorial worldview, al Qaeda routinely calls upon Muslims to take up arms against Jews and Christians, as well as any Muslims rulers who refuse to fight this imaginary coalition. The trouble is that people were projecting their understanding and ideals on al`Qaeda, which makes no sense at all. They don't give a damn if some guys are in prison somewhere; they have no outrage at people being kept in a warm vacation region (people pay a lot of money to stay in the Caribbean) and well-fed with medical care. Their anger is the usual: Jews, you won't submit to Islam, yadda yadda. Look, when even Chris Matthews is asking to see a physical copy of the actual birth certificate, maybe its time to stop stonewalling. President Obama was born in Hawaii, but there surely seems to be something on that document he really doesn't want anyone to see. Starved for revenue and accustomed to decades of overspending, many states have been overwhelmed. They are facing shortfalls of $140 billion next year. Even before the downturn, states jeopardized their futures by accumulating trillions in debt that they swept into some far-off future. Sure, their solution is "more taxes so we can continue to overspend," but at least they're willing to admit spending has been a mistake. Juan Williams claims that Sarah Palin is "not on the same intellectual stage" as President Obama. I disagree. I don't see Obama as any great intellect. Sure, he's smart -- nobody makes it to that position of power without some smarts -- he's just not the vast intellect he was sold as and pretends to be. He's got the mannerisms, he's got the phrases the elite left love to hear and watch. He's just not particularly brilliant. Neither is Sarah Palin, from what I've seen. I'd consider them roughly equal, in a lot of ways. But its typical for the left to think anyone who agrees with them politically is a gargantuan brain and anyone who disagrees isn't just suspicious, wicked, hateful, and possibly insane, but idiotic. America spends more on education than any other nation on earth. That's both in absolute dollars (which you'd expect) but as a percentage of its economy. Hans Bader writes for Open Market all about the data and points out something inevitable: this money isn't making for better education, and it might be making things worse. Given the vast administrative costs and the way teachers' unions have rammed pay, benefits, and pensions up, I'd say he has a point when he calls for cuts. Certainly the usual "we just need to spend more on education" leftist chant has less bite given this data. Have a wonderful new year's day and I'll see you next year!